Unpaginated. Three miscellaneous post cards in both colour and B&W. 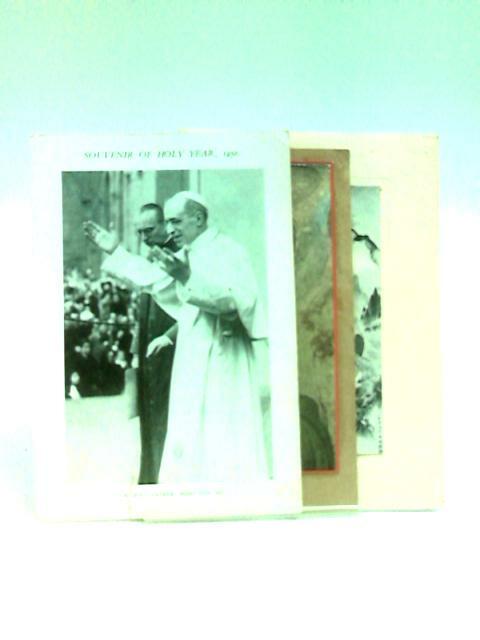 One is of Pope Pius XII dated 1950 and another is religious dated 1956 and the third is Asian yet printed in GB. Noticeable foxing, tanning and handling marks with creasing, tearing and dedication to previous owner at rear.